Casement windows have a single sash and hinged on one side, opening with the assistance of a crank system. 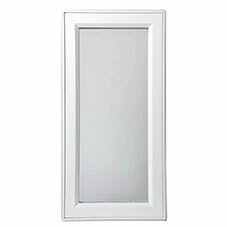 An ideal choice for installation over countertops, sinks, and other hard-to-reach areas, this window style is durable and energy efficient. Casement windows welcome gorgeous light into a home, especially in hard-to-reach areas. These unique windows feature a single sash with a hinge on one side. They're easy to open with a crank system to allow a breeze in. Even better, casement windows are extremely durable and energy efficient. At LAS, we know windows and we're here to help you find the best ones for your home. 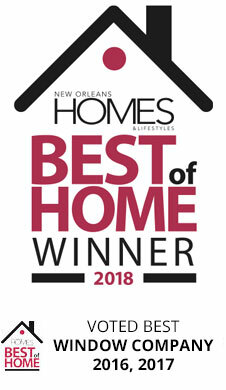 For over 60 years, our team has been designing, manufacturing, and installing windows for Gulf South homes and businesses. We're local every step of the way. Review our Windows 101 guide to learn more about some of the terms and standards you'll see when comparing windows. Or, feel free to reach out to the LAS team directly with any questions you have. Unlike double-hung windows, where you have to move the sash up and down against gravity, casement windows open easily with a crank handle. 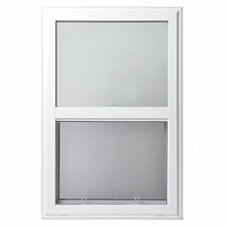 They also allow in more light and breeze than sliding windows, because they open fully. Since they're one single pane, they're also easier to clean. 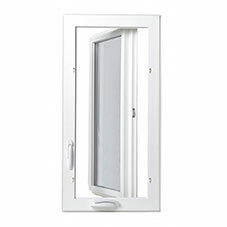 This ease extends to casement window maintenance. At LAS Shutters + Windows, we build our windows out of durable, long-lasting materials so you never have to worry about them warping or fading. Wooden window frames are not suited to the hot and humid Gulf South climate. Within a few years, they rot or warp. 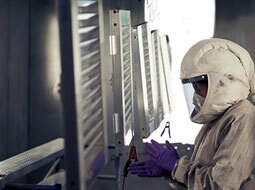 Cheap aluminum or vinyl products also wear out quickly. Instead, we design our windows with the highest quality vinyl frames. Over 60 years, we've found that this material far outperforms other alternatives in our climate. It's durable, long-lasting, and never rots or warps. It looks good, too. The finish will not fade, blister, or peel. When properly installed, casement windows can minimize your energy costs. The Department of Energy notes that these types of windows have lower rates of air leakage. This is because the sash closes by pressing directly into the window frame. LAS Casement windows are designed with a constant compression bulb seal all along the perimeter of the sash so that when the window is closed, there is virtually no air infiltration. 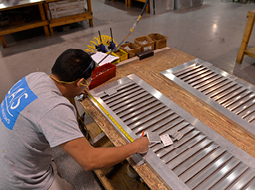 Our team manages every part of the design, manufacturing, and installation process. We'll custom design windows that fit the exact size and shape your home needs. 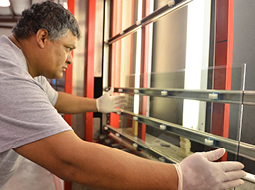 Want to learn how the LAS team creates windows that are made for the Gulf South climate? Watch the video to learn more. From decreasing energy costs to improving the usability of your home, casement windows can revitalize your space. They have to look good, too. At LAS Shutters + Windows, we design windows that complement a variety of home styles. We also offer a variety of internal and external grid styles and patterns to add a touch of effortless elegance. Casement windows define ease and simplicity for a home. See how they can add style and function to your home by browsing our gallery.